It’s the Holiday Season and I’m so excited because that means we get to hang out with family & friends, and just eat ourselves silly. Pretty sure I gained about 10 pounds just from Thanksgiving dinner alone lol. 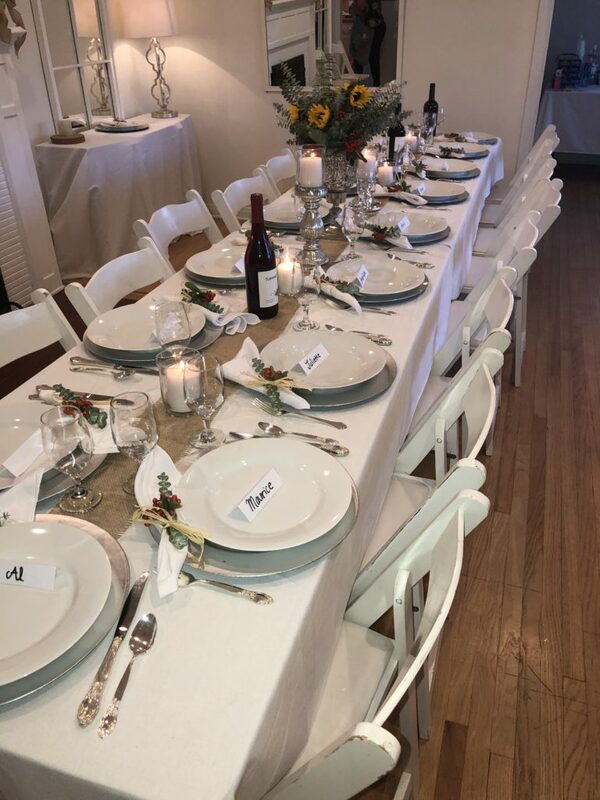 I think I spent a total of $100 for all the chairs, chargers and silverware which is inexpensive when you’re entertaining so many guests. 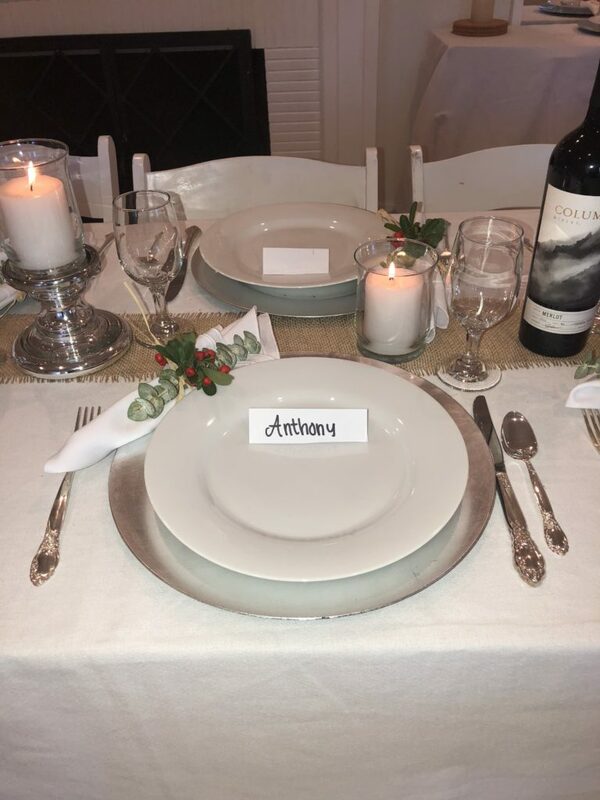 Closeup look of a place setting. All aspects of the rental are here and in place. For the decor, we had a few different aspects that we incorporated that included candles, flowers, burlap fabric & candle holders. For the flowers, we used eucalyptus, sunflowers and red berries all found at our local farmers market. This was great because not only were they fresh for the day of but they were also affordable. I bought a total of 3 bunches of each flower then arranged them at my leisure. This was a lot of fun and doesn’t have to be stressful, plus you’re saving money and being creative. I used candle holders that I had bought at Marshall’s as my vase to match my theme. The candles and the holders were purchased at the dollar tree and I was so happy because they came in white which was my theme color. Don’t be afraid to source products at places that are inexpensive because sometimes you’ll find some of the best things there! Total spent at Dollar Tree was $15. What a bargain. Napkins, ok so ya we went a little overboard on the napkins but I really wanted the table to look legit. 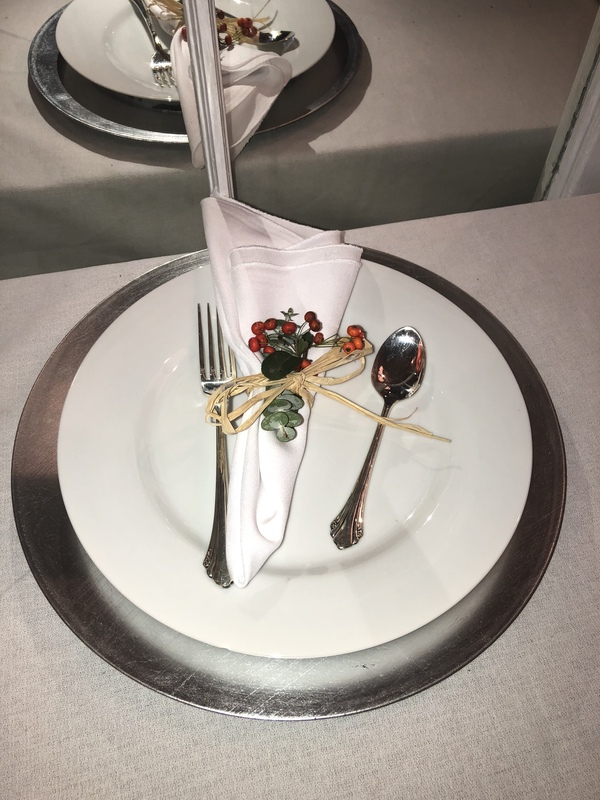 You can add any little design aspect to a white napkin. I tied eucalyptus & berries with a grass twine bought at Joanne’s fabric. I hope this blog was helpful, and I look forward to seeing your posts on your social medias to see what you created! Feel free to tag me in your social media post so I can see all the cute ideas you brought to your dinner table. Feel free to leave a comment and let me know if you have any questions in regards to this posting. As always I love you all and talk to you later. 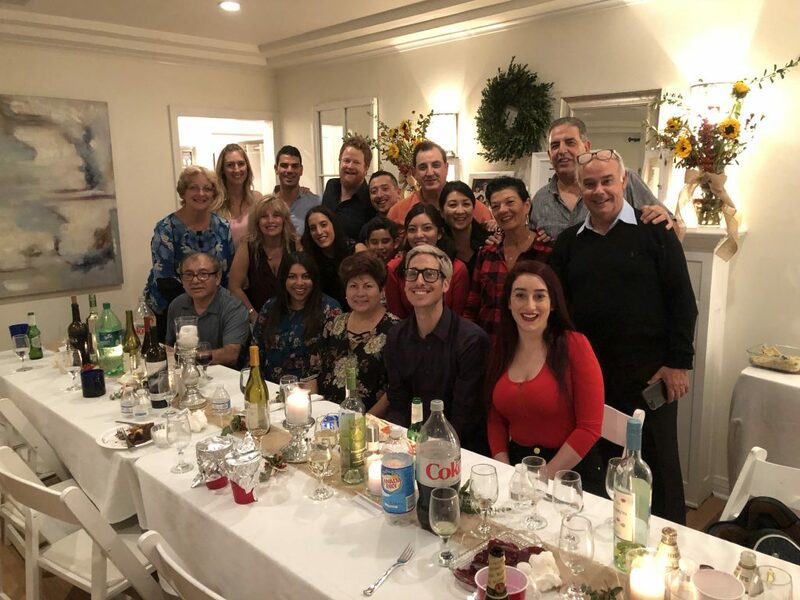 Happy Holidays from my crazy family to yours!! Thank for joining. Check often for new videos and blogs from Anthony!